American Indian Week at NMSU kicked off Monday with an opening ceremony at Hadley Hall. So far, the week’s festivities have included a Miss Native American NMSU meet and greet event, a frybread-making workshop, an indigenous foods presentation and a luncheon. This evening at 6:30 p.m., the movie “Edge of America” will be screened in the Senate chamber at the Corbett Center Student Union. 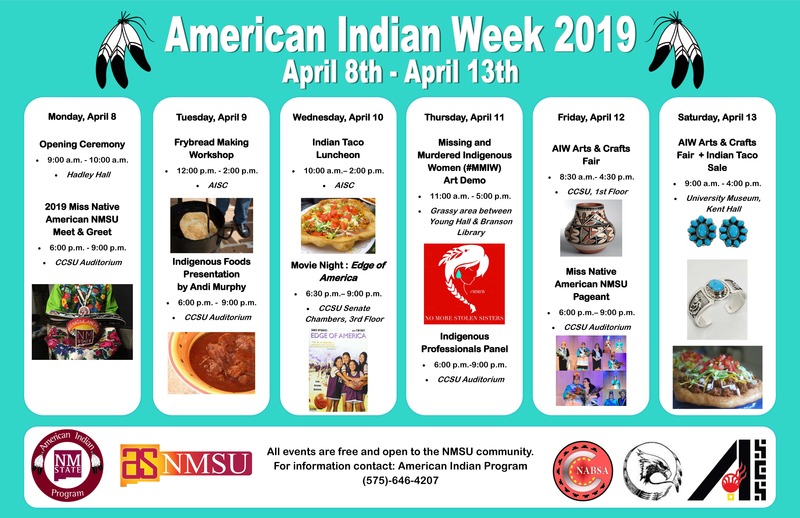 Other upcoming events this week will include an “art demo,” panel discussion, a crafts fair and the annual Miss Native American NMSU pageant. A complete calendar of events is currently available on the NMSU American Indian Program website. Reporter Jocelyn Flores stopped by the frybread workshop outside the American Indian Student Center yesterday, where she spoke with Miss Native American NMSU contestant Brittany Wilson.